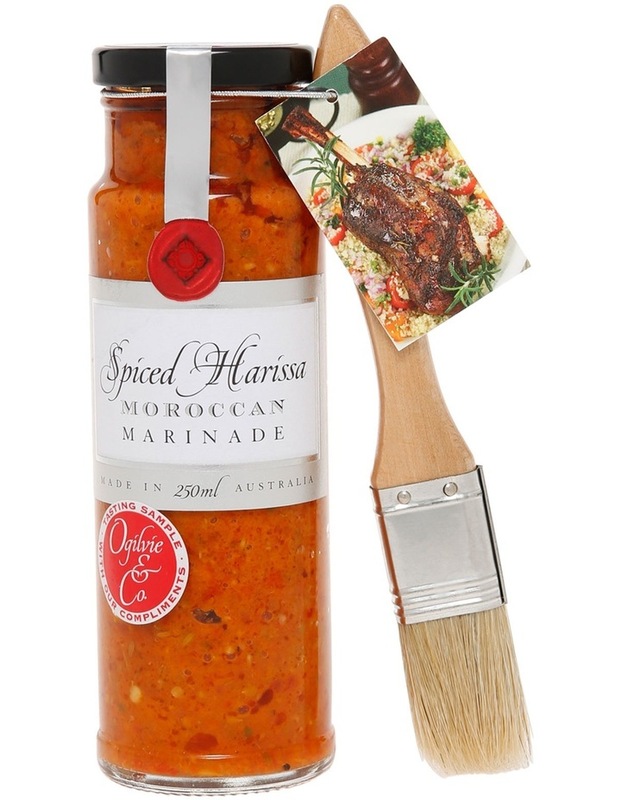 The Spiced Harissa Moroccan Marinade from Ogilvie & Co contains a blend of fresh herbs, roasted peppers and select spices. This marinade is gluten free and comes with a basting brush and recipe card. Traditionally, a Middle Eastern sauce, this marinade pairs perfectly with all red meats but is also great when used on poultry or fresh seafood. 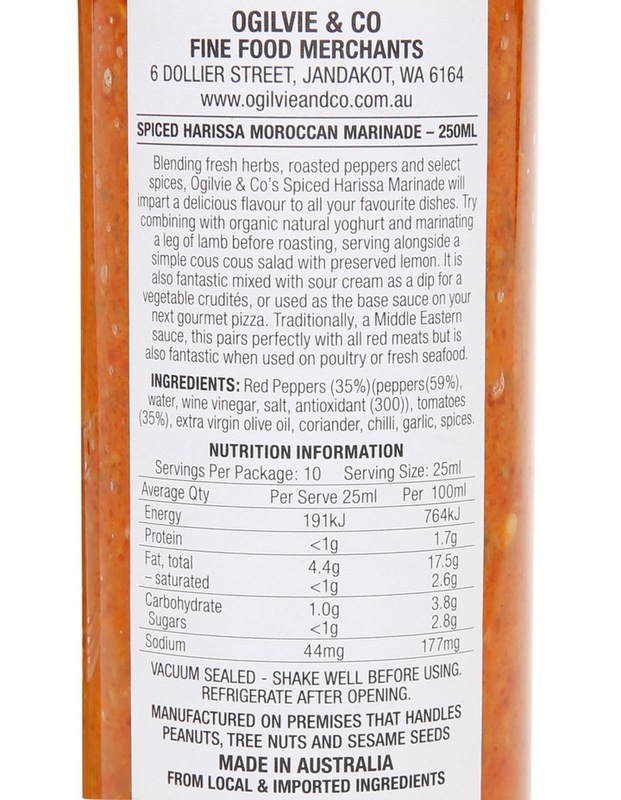 Ogilvie & Co is an Australian family-owned manufacturer and wholesaler of quality gourmet food products. Founded in 1987 in Perth, Western Australia, the key features of their range are the use of traditional preserving methods and quality raw materials, which are sourced locally wherever possible. Total food weight: 250ml net. Made in Australia. ALLERGY ADVICE: Manufactured on premises that handles PEANUTS, TREE NUTS and SESAME SEEDS.